It turns out I owe everyone an apology. Or at least a great big “I am sorry” to all of the people who have ever been inspired by this blog to change the way they teach. It turns out I don’t know what I am doing, at least not if you look at our test scores. You see, my students took our district standardized test, the one they take three times a year, and it turns out that at least for some all of my crazy ideas have apparently ruined their English skills. It wasn’t that their scores dropped just a touch, no, some lost hundreds of points in their comprehension skills; whole grade level disseminated by this terrible teacher. And there is no one to blame but me, after all, I am the one responsible for all of the teaching. These tests are a funny thing really, they have a way of messing with even the most stoic of teachers. We say we don’t care what the test scores are and yet we cannot help but feel fully responsible for the negative scores. The positive ones, the ones that gained hundreds of points since January; those cannot possible be my doing, because I am teaching all of these kids. And not all of these kids are improving by leaps and bounds. So those great scores, they have to be a fluke, but those kids with the big fat minus next to their number, yup, I did that. As I wrestle with my own feelings of ineptitude tonight, I have realized that who ever thought that teachers could be evaluated by scores that change so dramatically over a year, has never been a teacher. I could re-test my students tomorrow and guarantee you that all of them would have different scores. How a test like that can help me plan instruction is beyond me. How a test like that can be used to evaluate teachers in some states is even further out of my understanding. And yet it does, and we take it ever so personal because we care. We think if we had just tried a little harder, worked a little more then maybe we could have reached all of our kids, and not just the “easy” ones. So I am sorry for ever thinking I could help change education from within. 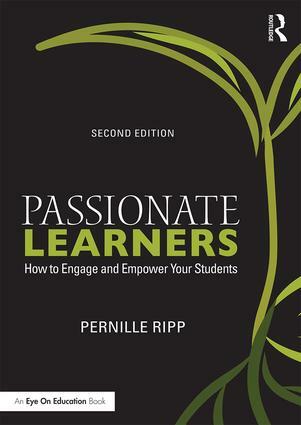 I am sorry that I have told others to give the classroom back to students, to create passionate learning environments where students not only have a choice, but they also have a voice. The test told me today that I am doing something wrong for these kids, because there is no way a 34 question test can be wrong, right? All I can say is that I am thankful to work in an incredible district with an amazing administration that sees beyond the test scores. That has faith in us and in all we do. That knows we are bigger than the test scores our students get, because if I didn’t, according to this test, I don’t have any business teaching some of them, or blogging about what I do. Thank you for this post. One score does not define you. I say this to my students almost every day. This much I know. A single test can never reveal the brilliance a person possesses. That is true of the child taking the test and the teacher teaching the child. I believe that this is even more true when a person’s brilliance defies the commonplace, everyday brilliance of human beings. For those students whose thinking stretches far beyond the confines of a standardized test and for those teachers whose passion and intuition stretches equally as far beyond the confines of a standardized test. Those are often the students and those are often the teachers who are the most mis-measured by these tests. The good you do in this world. The good you do for the children sitting right in front of you. There is no question in this world that could ever accurately measure that kind of goodness. There is no standardized measure for that. All you can do is look for the measure of what you do in the faces of your students. In the look of the child who comes to you excited by the book you recommended. In the eyes of the child who has just, for the first time in her life, found her voice. In the sound of the child’s voice who trusts you enough to make himself vulnerable in front of you. That’s where you have to look to find your measure of success. And I know it will be there. Every one of us who has ever read this blog know that you will find what you are looking for right in the tiny beings in front of you. I have a couple of kids’ scores that brilliantly reinforce the fact that they have test anxiety. They are solid in all of the concepts, nail the standards, and yet scored in the teens for their percentile. Your posts almost always resonate with me and this one was no different. I don’t always leave a comment though I wish I could almost every single time because “I know what you mean”. Sometimes I feel like we live in each other’s classrooms because there is so much that you say in your posts that have me nodding my head vigorously. Is there an emoji for that? In any case, this one I felt compelled to respond to because I had a similar reaction/feeling recently when our MAP scores were released especially when others are celebrating their students’ scores as a measure of their own teaching. No way, no how. There’s so much more to what goes on in a classroom than one score on anything can ever demonstrate. We have to keep telling ourselves that as much as some around us are saying the opposite. I know what my students have learned this year. I can see it. I can feel it. It’s palpable yet it’s not measurable on a standardized test. It won’t show up as a number. It may not even be recognizable by those with the test blinders on. Teaching and learning is messy. Testing is neat and tidy. I will go for the messy each and every time. I say to us, hang in there! In the performative, managerial world we live in our strength and worth may not yet be valued but it is more important than ever that we make it real and visible. The life of our profession and our students depends on it. Keep on being a terrible teacher, Pernille! Your students will thank you! Keep up the great work !! Standardized tests cannot teach creativity, real life learning, and true learning that is synthesized knowledge. I’m glad you have a supportive administration that understands how valuable a member of the teaching staff at your school you are. I think it’s further proof that the best of what we asks our students to learn and develop an understanding about isn’t reflected on these types of tests. The next time I feel down about my students’ scores I will celebrate that I’m in good company! What you do makes a difference in the type of human beings your students grow into. Don’t lose faith. Your perspective and practice are solid. You’re changing lives, and your worth as an educator goes beyond the blip in the test. It will be measured by the impression you will have left on each human in the room. It’s precisely because you face doubt that you are a stellar teacher. Keep shining. I know exactly what you mean! I went CC and conceptual back in 2009-2010. I felt like I was teaching for the first time in decades. My VAM score was a 1 (the worst). The next year, I did everything the same, but threw in daily reviews (ala memorize this) and it shot up to a 5 (the best). I laughed for days. Was I the worst or best teacher?! Hilarious….and frightening. I had this very same feeling a couple of weeks ago when I had finished giving my kindergarten students a computerized district test. Most of my students did well, but I watched as a couple students just pressed “A” for almost the whole test without listening to the questions. Yikes! I could only shake my head. Others students who have issues with focusing had a rough time with the test. I never lose sleep over these types of tests because when I pull my students to do one on one assessments, they meet the standards. So, I feel a small victory knowing that my students have shown such amazing growth that no district standardized test will ever be able to show. I think all teachers have been in your shoes. Don’t let it get you down. Maybe a student had a bad morning or didn’t get enough sleep that day, maybe a student had something else on his/her mind that was distracting. There are many variables that could alter test scores. It’s how they do over time that matters. I am lucky that I do not teach in a District that uses similar test scores to evaluate me… Yet! It seems we are heading that way as our mandatory meetings are slowly but surely suggesting. People forget that education is a 2 lane road with many weather conditions (English Teacher = metaphor, sorry) we need to teach, but students need to actively learn. And of course I teach in a City (Las Vegas) with a lack of emphasis being placed on education. Imagine if you will a land of parents who only care about a grade and have no idea there is a difference between the grade earned and education gained. OK, well maybe this is not too hard to imagine, but its actualization is frightening. Kids don’t care about performance unless it is linked to their graduation, at which point they are mainly concerned with the minimum effort. I want to thank you for your vulnerability in posting this, and for changing my life as an educator. 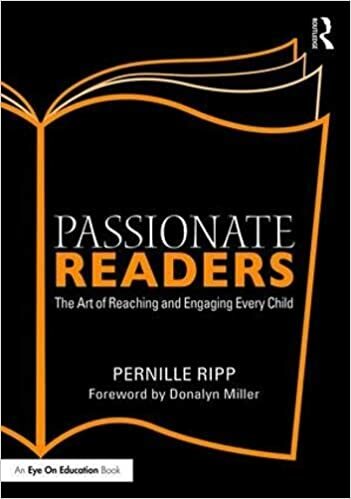 When asked recently what professional development has been most integral in my life as an educator, I told the interviewers that reading your book on my own is the most influential to date. I have gone from teacher platform to student platform. I have gone from being the center of my classroom- to being a facilitator in THEIR classroom. I have gone from controlling every little thing and detail to allowing them to have a say, voice, CHOICE, to see my students take initiative in their own learning, to hate leaving school, to setting their own goals and persevering through challenges. And they are first graders. I never thought it would be possible. But I bit the bullet and took a leap of faith and it has been, by far, the best career decision I have made yet. So thank you. View the test as a means of seeing where you can grow, where your kids can grow, and go from there. Do not view it as a measure of your worth or theirs. As an old P, Ts always shared “challenging, needy” students, esp. those with behavioral needs or academic gaps. This pits T against T. Eval. should never be used as a measure of T success. Each yr. your class varies. What happened to creativity and the joy of teaching? It is blatantly unfair.